Have you ever woken up one morning and said to yourself, today I would like to be...? After an inspiring trip to New Mexico recently, I re-discovered how truly magical mother nature can be. 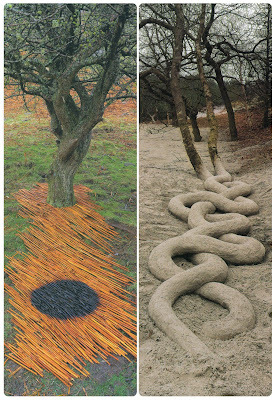 Andy Goldsworthy shows us that constantly. 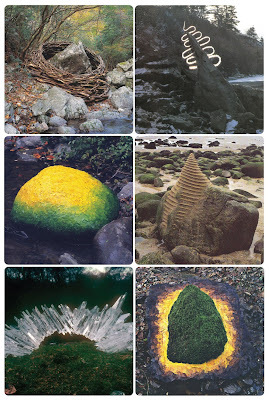 Working exclusively with nature, he creates art that is born from the environment, exists with it, and decays back into the earth with the natural processes of time. Nature is in a state of change and that change is the key to understanding. For this, I am inspired by his love of our environment, his passion for creating something out of what's already there, and his extraordinary ability to weave the complex cycles of life with great beauty. create such natural wonders myself. "Movement, change, light, growth and decay are the lifeblood of nature, the energies that I try to tap through my work."